We'll have a table at OktoberFluke on Oct. 15 at the Classic Center located on 300 N. Thomas St., Athens, GA. 30601. This is a special fall show of the Fluke small press/mini-comics convention, and part of the Athens Popfest which is a music/arts festival. A couple of convention appearances we have for this month. 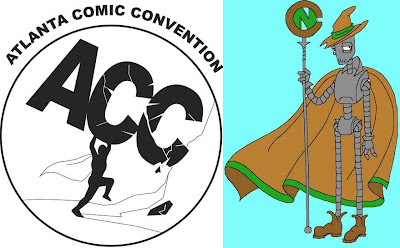 One is we'll be operating the National Cartoonists Society table on & off all weekend at this year's Dragon-Con on Sep. 2-5 inside the Hyatt Regency Atlanta on 265 Peachtree St., Atlanta, GA. 30303. The other is Daycon on Sep. 24 at the Riverview Inn on 50 College St., Clarksville, TN. 37040. We now have an official Facebook page. Please join it and check in for regular updates. Hurley's Heroes in Joplin, Missouri is now taking all-ages comics for children who have been displaced by the recent hurricane tragedy in Joplin. As a relief effort, publishers and dealers are asked to donate comics intended for young readers currently residing in local shelters. We're going to have tables at a few cons this month. 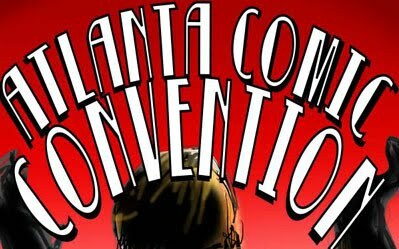 One is the annual Momocon anime convention on Mar. 12-13 at the Georgia Tech Hotel on 800 Spring St., Atlanta, GA. 30308. This will feature an artist alley, dealers room, fan panels, and more. 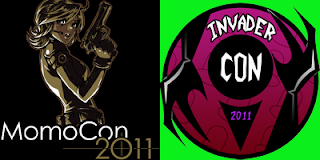 The other is the brand new Invader Zim fan convention, Invader Con on Mar. 26-27 at the Marriott Century Center on 2000 Century Blvd., Atlanta, GA. 30345. The con will showcase several creators and actors from the popular TV series, and benefits the Junior Diabetes Research Fountain.